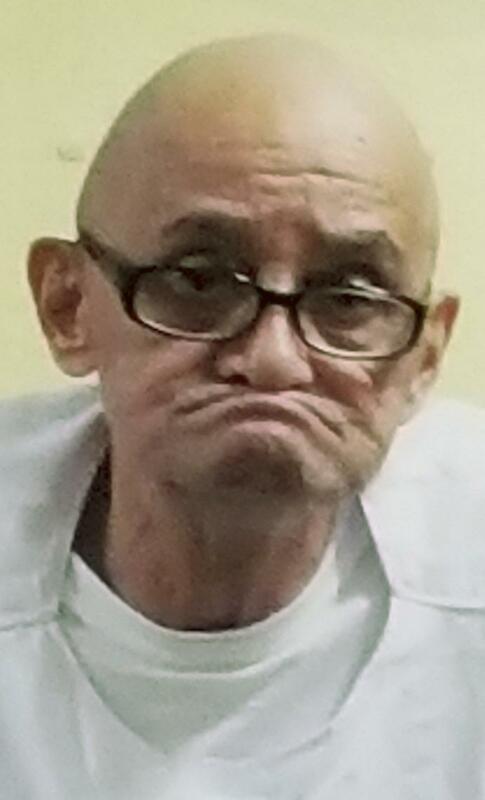 Alabama has set an execution date for Doyle Lee Hamm (pictured), a 60-year-old man with terminal cranial and lymphatic cancer that his lawyer says has rendered his veins unusable for lethal injection. Hamm has received radiation and chemotherapy, and was scheduled for surgery to remove a cancerous lesion on December 13, but Alabama prison officials cancelled the surgery and instead informed Hamm that a death warrant had been issued scheduling his execution for February 22, 2018. In September, Hamm's attorney, Bernard Harcourt, asked anesthesiologist Dr. Mark Heath to examine Hamm to determine whether his veins would be suitable for the execution protocol. Dr. Heath found that Hamm has virtually "no accessible veins" in his arms and legs, and that his lymphatic cancer would complicate any attempts at the already challenging procedure of obtaining central vein access. Heath concluded, “the state is not equipped to achieve venous access in Mr. Hamm’s case.” In a commentary in The New York Times, Harcourt wrote that Hamm "will suffer an agonizing, bloody, and painful death” if prison officials proceed with the execution as planned. "Our justice is so engrossed with how we kill that it does not even stop to question the humanity of executing a frail, terminally ill prisoner," Harcourt wrote. “Mr. Hamm’s serious and deteriorating medical condition poses an unacceptable risk that he will experience significant pain.” Andrew Cohen of the Brennan Center for Justice wrote in a December 15 commentary that Hamm's case "has come to symbolize the injustice of [Alabama's death-penalty] system. The idea that executioners want to make sure they kill Hamm before he dies of cancer, the fact that it is likely the lethal injection itself will cause him 'needless pain' before he dies, may be abhorrent but it's entirely consistent with the way state officials have handled Hamm's case for years." When Hamm was sentenced to death in September 1987, his jury did not unanimously agree on his sentence, but Alabama law permitted the trial judge to impose a death sentence based upon a jury's non-unanimous sentencing recommendation. At that time, Alabama was one of only three states to permit that practice; and now it is the only state to do so. Cohen wrote that Hamm's constitutional rights "were ignored in virtually every way" during the trial. "Witnesses changed their stories, ultimately testifying against him only after they were charged as co-defendants and made sweetheart plea deals. His trial lawyer did a miserable job during the mitigation phase, failing utterly to give jurors a fair sense of the intellectual disability, or perhaps brain damage, from which Hamm has suffered his whole life." During state post-conviction review of Hamm's case, the trial court denied his appeal by adopting verbatim an order written by the state attorney general's office, without even removing the word "proposed" from the title. In 2016, Hamm sought review of that practice from the U.S. Supreme Court, but the court declined to review his case. Having failed to find a suitable vein in which to set an intravenous execution line, Ohio called off the scheduled November 15 execution of gravely ill and physically debilitated death-row prisoner, Alva Campbell (pictured). After execution personnel failed in four attempts to find a vein for the IV line, Ohio Department of Rehabilitation and Correction Director Gary Mohr stopped the execution and Governor John Kasich granted Campbell a temporary reprieve. Kasich rescheduled Campbell's execution for June 5, 2019. The execution was delayed for nearly an hour as executioners assessed Campbell's veins, and then witnesses watched for another half hour as prison personnel used an ultraviolet light to probe Campbell's arm for a vein, sticking him twice in the right arm, once in the left arm, and once in the left leg. Columbus Dispatch reporter Marty Schladen, a media witness to the execution, reported that, when he was stuck in the leg, "Campbell threw his head back and appeared to cry out in pain." Campbell's lead lawyer, assistant federal public defender David Stebbins said, "We had warned them for months that they were going to have this problem." In court documents seeking to stay his execution, Campbell's lawyers unsuccessfully argued that a combination of severe medical ailments and physical disabilities made it inappropriate for him to be executed. These afflictions include lung cancer, chronic obstructive pulmonary disease, respiratory failure, prostate cancer, and severe pneumonia, and Campbell relies on a colostomy bag that hangs outside his body, needs oxygen treatments four times a day, and requires a walker for even limited mobility. Following the reprieve, Stebbins questioned whether the state would be able to successfully execute Campbell. "He's 69 years old and has all kinds of illnesses and his veins are a mess," he said. "They're just not going to get any better." "This type of state-sponsored torture is not acceptable," said ACLU of Ohio senior policy director Mike Brickner. “This marks the fifth botched execution for Ohio in recent years, and the second time the state could not complete an execution. This is not justice," he said, "and this is not humane." In the past eleven years, Ohio has also botched the executions of Joseph L. Clark, Christopher Newton, Romell Broom, and Dennis McGuire. In a video posted on the website of the Columbus Dispatch, reporter Marty Schladen, who was scheduled to witness the execution, said "I don't think anything that happened today would make anybody sanguine about the death penalty in Ohio right now." Two recent high court rulings have raised questions of whether death-row prisoners are sufficiently mentally impaired to be deemed incompetent to be executed and who gets to make that determination. On November 7, the Arkansas Supreme Court issued an order staying the execution of death-row prisoner Jack Greene (pictured, left) to resolve whether that state's mechanism to determine competency—giving the director of the Arkansas Department of Correction ("ADC") sole discretion to make the decision—violates due process. One day earlier, a unanimous United States Supreme Court permitted the execution of Alabama death-row prisoner, Vernon Madison (pictured, right), to go forward—despite evidence that strokes have left him legally blind, incontinent, unable to walk independently, and with no memory of the offense for which he was sentenced to death—saying that the Alabama Supreme Court's ruling that Madison had a rational understanding of his execution was not contrary to or an unreasonable application of clearly established federal constitutional law. Greene's lawyers had argued to the Arkansas Supreme Court that Arkansas had violated his right to due process when corrections director Wendy Kelley ruled him competent to be executed without having conducted any independent mental health evaluation or providing Greene's lawyers any opportunity to contest her determination. According to court filings, Greene is severely mentally ill and psychotic, delusionally believes that the ADC has destroyed his central nervous system, engages in "extreme physical contortions and self-mutilations" to attempt to combat the pain, and thinks the state and his lawyers are colluding to execute him to prevent disclosure of the injuries he believes have been inflicted by the state. In his Last Will and Testament, signed on November 1, he asked that his head be surgically removed after the execution and examined by a television reality show doctor in an effort to prove that he has been subjected to "percussion concussion brain injuries . . . inflicted by the Arkansas Department of Corrections since July 5, 2004." His lawyers have been seeking a court hearing on Greene's mental status to determine his competency. In ther Alabama case, the Supreme Court reversed a decision of the U.S. Court of Appeals for the 11th Circuit that had found Madison incompetent to be executed. The federal appeals court had rejected the state court's finding that Madison was aware of the reasons for his impending execution, saying that because of his stroke-induced "memory loss, difficulty communicating, and profound disorientation and confusion," he lacked an understanding of the "connection between his crime and his execution." The Supreme Court reversed the lower court's decision, holding that there was no clearly established law concerning when "a prisoner is incompetent to be executed because of a failure to remember his commission of the crime," as "distinct from a failure to rationally comprehend the concepts of crime and punishment as applied in his case." Prosecutors in Arkansas said that they will not seek rehearing of the decision in Greene's case, and state attorneys in Alabama have not yet asked for an execution date for Madison. The long-term decline in executions in the United States will continue in 2017, according to an analysis of execution data by the Death Penalty Information Center. 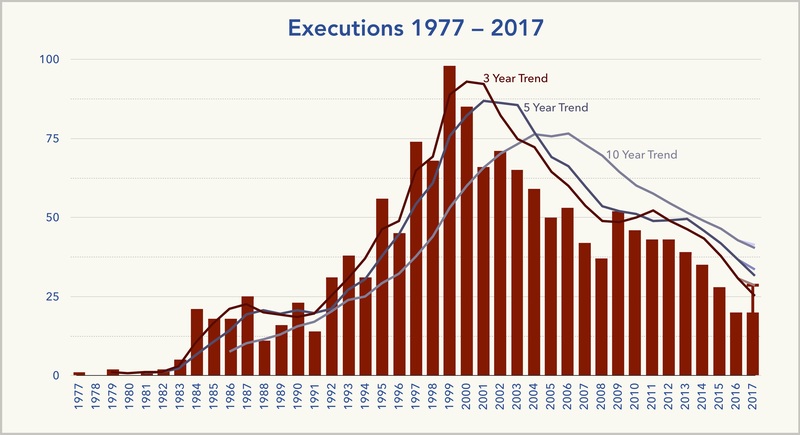 Although the number of executions in the United States in 2017 will surpass the 20 executions carried out last year—which had been a 25-year low—the data reflects that long-term, mid-term, and short-term execution trends in the United States will continue to decline. DPIC’s analysis shows that, even if all the executions currently scheduled to take place through the end of 2017 are carried out, the average number of executions in the United States over the past 3, 5, and 10 years will drop by 8.4%, 9.1%, and 3.6%, respectively. The number of executions in the United States has fallen in 14 of the last 19 years, from a high of 98 in 1999 to last year's generational low. After reaching a 14-year low in 2008, executions increased by 15 in 2009 before declining or remaining steady the next seven years. Alabama's execution of Torrey McNabb on October 19 was the 21st execution in the United States in 2017, with seven more executions scheduled this year. If all are carried out, the number of executions over the last three years will still fall by seven, with an average of 25.3 executions per year; there will be a decrease of 15 executions over the past five years, with the average number of executions over that period falling to 30.4 per year; and there will be a decrease of 14 executions over the past decade, with the average number of executions per year falling to 37.1. According to an analysis by The Marshall Project, the increase in the number of executions in 2017 "does not suggest that executions are likely to become more common." Instead, it reports, "executions are likely to keep declining for one big reason: juries are handing out fewer death sentences." USA Today reports that the executions today are the remnants of "largely decades-old death sentences being carried out." Those executions, the paper reports, "have illustrated the problems [death-penalty] opponents highlight in their quest to end capital punishment," including unredressed claims of innocence and requests for forensic testing, lack of transparency in carrying out executions, and race-of-victim disparities—"nearly all the murder victims [in the execution cases] were white." Rob Smith, executive director of the Fair Punishment Project, said that the people being executed today were sentenced years ago "by juries who would never return that death sentence today and prosecutors who would never seek that death sentence today.” He said the historic decline in new death sentences, from more than 300 per year in the mid-1990s to fewer than 50 per year, will result in fewer executions going forward. Heather Beaudoin, national organizer for death-penalty abolitionist group, Equal Justice USA, said she is "not discourage[d]" by this year's execution numbers. What "we're seeing [is] the last grasps of trying to hold on to the death penalty in this country," she said. Ben Cohen, a lawyer with the Capital Appeals Project in New Orleans, said today's executions largely involve cases tried "twenty years ago [during] the height of the death sentencing era." The "long-term trend," he told USA Today, "remains clearly aimed at replacing death sentences and executions with life without parole." 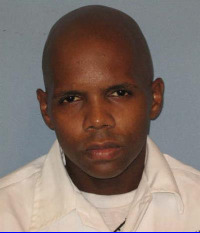 Alabama executed Torrey McNabb (pictured) on October 19, amid questions of state interference in the judicial process, resulting in another apparent failure by the drug midazolam to render a prisoner insensate during an execution. Alabama prison officials defended the execution—which took 35 minutes—as conforming with state protocol, most of which has been withheld from the public. Montgomery Advertiser execution witness Brian Lyman reported that at 9:17 p.m., twenty minutes into the execution and after two consciousness checks, "McNabb raised his right arm and rolled his head in a grimace" and then fell "back on the gurney." Associated Press reported that his “family members and attorneys who witnessed the execution expressed repeated concerns to each other that he was still conscious during the lethal injection.” Alabama Department of Corrections Commissioner Jeff Dunn dismissed McNabb's responses as "[i]nvoluntary movement," which he said were not unusual. "I’m confident he was more than unconscious at that point," he said. McNabb had been challenging the state's execution protocol in court for more than a year at the time Alabama issued a warrant for his execution. He had won an appeal permitting his case against the state's use of midazolam to move forward to trial, and the Alabama federal courts had issued an injunction stopping the execution so that judicial review of the state's execution process could take place. However, on October 19, the U.S. Supreme Court, over the dissents of Justices Breyer and Sotomayor, lifted the injunction, vacating the stay and permitting the execution to proceed. Two-and-a-half hours after the execution was scheduled to begin, the Supreme Court denied another last-minute stay application, without dissent, and the execution proceeded. The execution capped a dramatic 48 hours during which Texas courts halted two other executions that had been scheduled for October. On October 18, the Texas Court of Criminal Appeals had stayed Clinton Young's October 26 execution to permit an evidentiary hearing on his challenge that newly discovered gunshot residue evidence showed that the state's lead witness was the actual killer in his case, and a Texas trial court had stayed the execution of Anthony Shore to investigate allegations that he may have colluded with another death-row prisoner to falsely confess to the murder for which that prisoner had been condemned. McNabb's execution was Alabama's third and the 21st in the United States in 2017. An Arkansas trial judge has dismissed all charges against former death-row prisoner, Rickey Dale Newman (pictured), setting him free on October 11 after having spent nearly 17 years in custody following the February 2001 murder of a transient woman in a "hobo park" on the outskirts of Van Buren, Arkansas. Newman became the 160th person since 1973 to be exonerated after having having been wrongly convicted and sentenced to death. Newman, a former Marine with major depression, chronic posttraumatic stress disorder from childhood abuse, and an IQ in the intellectually disabled range, was seriously mentally ill and homeless at the time he was charged with murdering Marie Cholette. He was convicted and sentenced to death in June 2002 after a one-day trial in which the court permitted him to represent himself. No physical evidence linked Newman to the murder, but at trial a prosecution expert falsely testified that hair found on Newman's clothing came from the victim. Newman also told the jury he had committed the murder and asked them to impose the death penalty. He subsequently sought to waive his appeals and be executed. The Arkansas Supreme Court initially held that Newman had been mentally competent and granted his request to drop his appeals. However, four days before his scheduled execution on July 26, 2005, Newman permitted federal public defenders, including his current counsel, Julie Brain, to seek a stay of execution. DNA evidence on the blanket on which the victim was found excluded Newman, and the federal defenders obtained DNA testing of the hair evidence that disproved the prosecution's trial testimony. They also discovered that prosecutors had withheld from the defense evidence from the murder scene that contradicted what Newman had described in his confession. A federal court hearing disclosed that the state mental health doctor had made significant errors in administering and scoring tests he had relied upon for his testimony that Newman had been competent to stand trial. The Arkansas Supreme Court subsequently ordered new hearings on Newman's competency and on the evidence the prosecution had withheld from the defense. 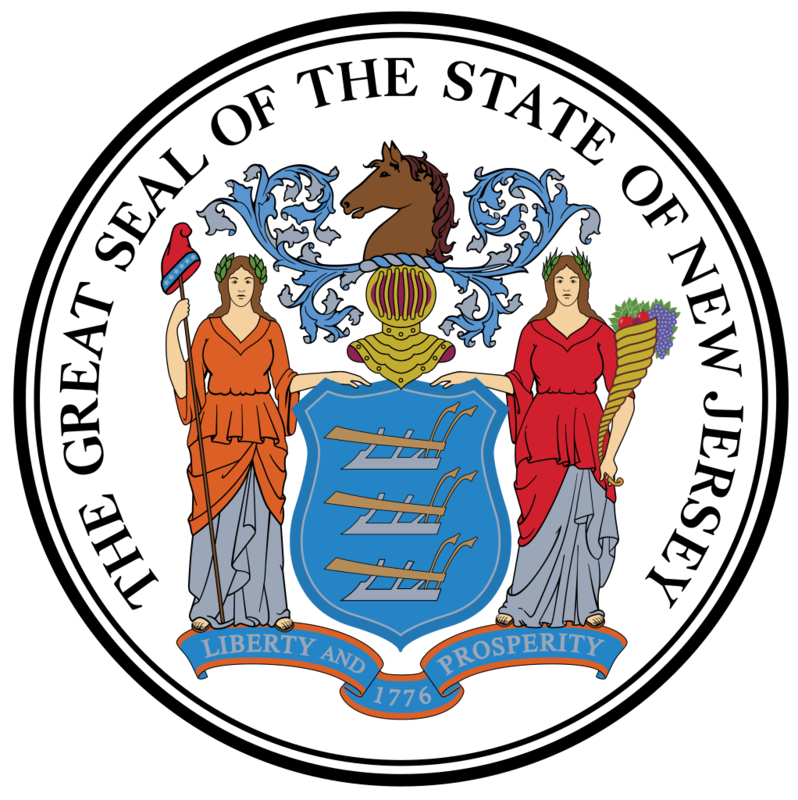 After those hearings, it wrote that "the record overwhelmingly illustrates that Newman’s cognitive deficits and mental illnesses interfered with his ability to effectively and rationally assist counsel" and overturned Newman's conviction. In September, it issued another ruling barring the use of Newman's incompetent confessions in any retrial. On October 2, Brain submitted a letter to the court saying that “Mr. Newman has now been incarcerated for over 16 years for a murder that he did not commit” and that the Arkansas Supreme Court had found that the invalid statements he had given while mentally incompetent were "the only meaningful evidence against him." In response, special prosecutor Ron Fields submitted letter to the court asking that charges be dismissed. Fields wrote that, without the confessions, prosecutors lacked sufficient evidence to obtain a conviction and "it would be a waste of tax payers money to retry [Newman]." 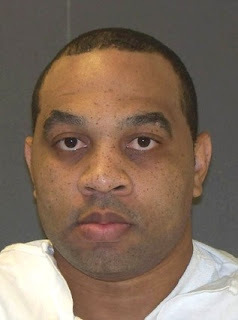 After staying Tilon Carter's execution in May to consider allegations that his conviction and death sentence were the product of false or misleading forensic testimony, the Texas Court of Criminal Appeals has now ruled that Carter (pictured) is entitled to an evidentiary hearing on two of his claims. In a September 27 order, the appeals court directed the Tarrant County (Fort Worth) trial court to conduct a hearing on whether Texas "presented false or misleading testimony by the State Medical Examiner," in violation of Carter's right to due process and whether "new scientific evidence, which was unavailable at the time of his trial, contradicts scientific evidence the State relied on at this trial." The order leaves the prior stay of execution in place. Carter was convicted and sentenced to death in November 2006 based upon testimony by Tarrant County Medical Examiner Nizam Peerwani that he had smothered 89-year-old James Tomlin during the course of a robbery. In fact, the autopsy listed Tomlin's cause of death as "smothering with positional asphyxia," which could have been unintentional. Carter's lawyers argued that scientific evidence that was unavailable at the time of trial contradicts Peerwani's testimony, and he presented statements from three forensic pathologists who concluded that the autopsy findings contradict the state's theory that Tomlin was intentionally smothered. Carter's attorney, Raoul Schonemann, wrote in a court filing, “While the experts disagreed on the ultimate cause—whether Mr. Tomlin’s death was caused by positional asphyxiation or a cardiac event—they unanimously agreed that the evidence does not show that Mr. Tomlin’s death was the result of intentional smothering." Carter would not be subject to the death penalty if he did not intentionally kill Tomlin. Carter's lawyers also alleged that his trial counsel had provided ineffective assistance by failing to investigate and present available evidence that Carter had not intentionally killed Tomlin. However, the Court of Criminal Appeals did not grant an evidentiary hearing on that claim.